Good Day. It is with much pride to annouce that this post marks a first for The Pickiest Eater In The World. This is the first time (to my recollection) that I went to a restaurant and ordered ONE dish. Do NOT adjust your screens, my friends, you read that right. That's ONE DISH to SHARE with Rina, ladies and gentlemen. We couldn't even finish it! 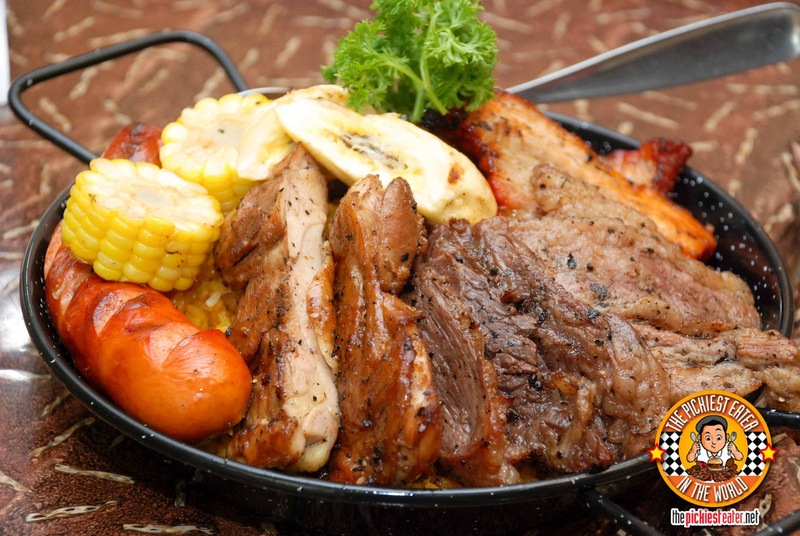 That's the kind of madness that happens when you enter the wonderful world of Brazil: Brazilian Churrasco! Ok, let me start off by explaining to you all that it was not my intention to go to Brazil and NOT order their famous Eat-all-You-Can Churrasco buffet. I'm man enough to admit that I saw that they had a deal at the group buying site www.metrodeal.com and went absolutely nuts. Since "Brazil" is the epitome of everything The Pickiest Eater In The World stands for, I purchased it with no questions asked. Without reading the fine print. To be fair, it wasn't exactly fine print. 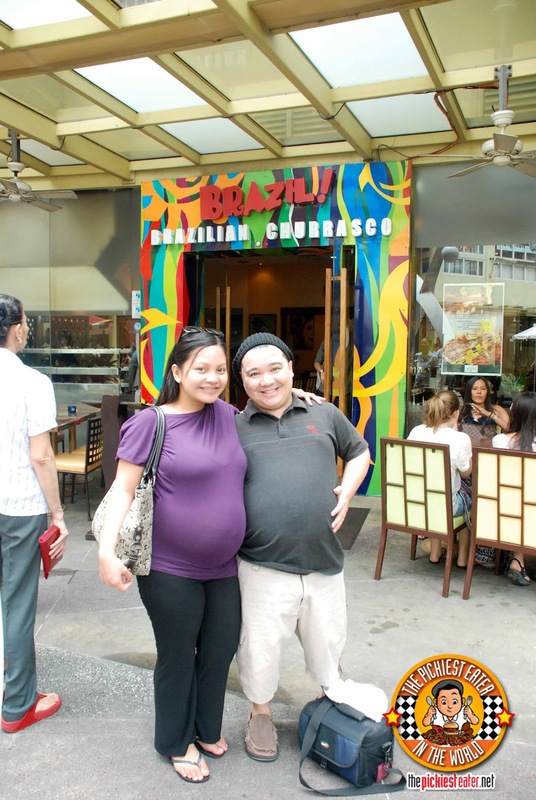 It specifically stated a "Churrasco feast platter for two" at Brazil Brazil. I guess I saw "Brazil" and "Churrasco in the same sentence and went absolutely nuts, and purchased the deal without looking back. It was only when I got there that I realized that the voucher I purchased for P770 didn't let me avail of the Churrasco buffet- the one where they bring the meats to your table on spits, fresh off the grill. Quick Question: is it Brazil or Brazil Brazil? The sign says Brazil, so I guess it's just Brazil. It's a carnivore's paradise. 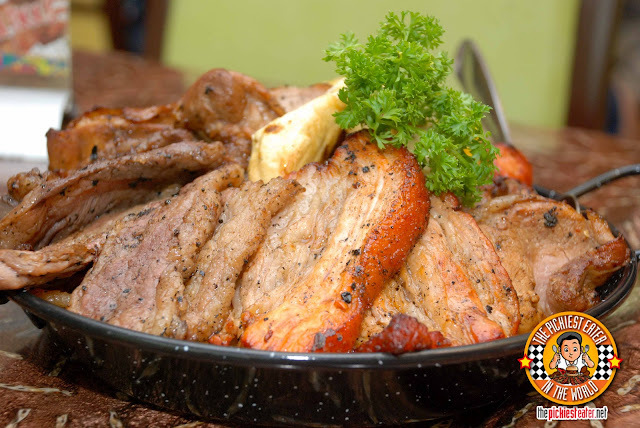 It's basically an eat all you can Meat-fest that features the finest cuts of Beef, Pork, Chicken, and premium sausages. Just before I was about to get up grab a plate to work on their buffet, Rina (wisely) read the voucher and saw that it said a "Churrasco Feast Platter". We clarified it with the waiter, and he confirmed that the voucher we purchased didn't grant us access to the buffet, but instead they would bring a platter to our table, and two rounds of Iced Tea each. I grumbled a little bit, because I had been dreaming all week of having unlimited access to Brazil's meats, so I thought about it a bit. 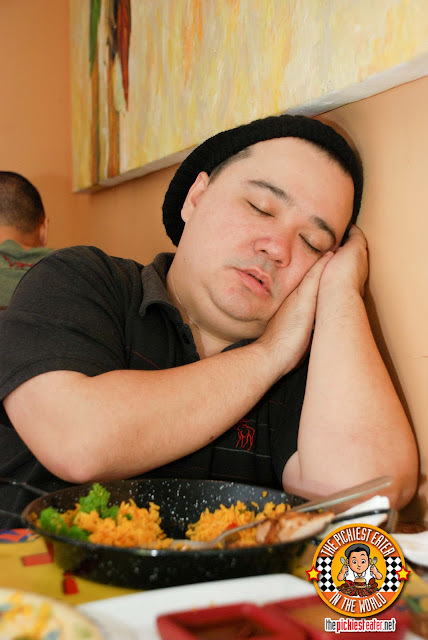 When the waiter passed by me again, I told him, "If the platter isn't enough for me, I'm going to go for the buffet. I Don't mind paying extra, I'll just tell you if I do.". The waiter let out a chuckle and said, "Sir, I strongly suggest you decide after you see the platter. If you go for the buffet as well, you'd be the very first person who ordered a platter AND went for the buffet in Brazil Brazil". Naturally that statement sparked a fire in my growling belly, so I simply told him with a smile, "My friend, you are about to witness something truly special.". He laughed and went on his way. The table beside me also had a voucher, and nearly committed the same mistake. One of them actually went up to the buffet table and grabbed a plate, before the waiter quickly informed them that there would be an additional expense to their tab. He sheepishly put back his plate hehe..
With the vibrant colors and decorative masks scattered around the area,you can't help but feel the festive vibe that helps transport you to Brazil (Of course I doubt Brazil Rio De Janeiro Looks anything like the inside of this restaurant, but you know what I mean). It gives off a happy, almost theme park feel inside (Although with all the meat going around, it does make me kinda feel like I'm in Disneyland). The waiter that entertained our inquiries was great. I regret not getting his name so I could commend him here on my blog. But dark guy who obviously works out and has spikey hair that works as a server at Brazil Brazil.. You are awesome. The other servers were efficient, but looked like they were forced to work there under duress. Maybe they were having a bad day or something, but that one did that took care of us compensated for everyone else's lack of zeal. If I could have one meal before I died, Brazil Brazil's Churrasco Platter would honestly pop up into my head. 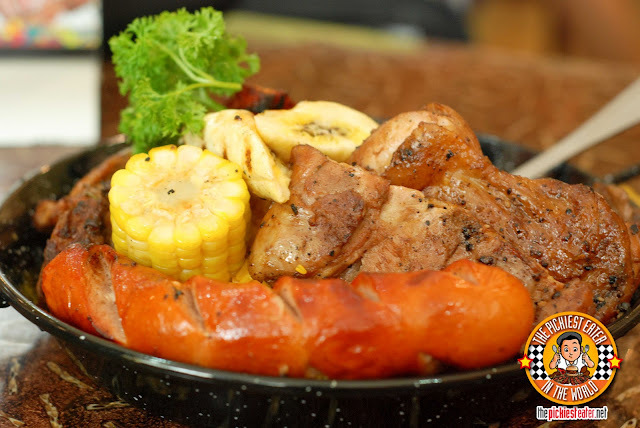 It's a medley of different cuts of grilled meat laid on a bed of beautiful Java rice, and garnished with slices of grilled banana and corn. It honestly didn't look too daunting for a heavy eater like me, but trust me, halfway into it. Rina was half-mocking me about not going to the buffet. "I'm still waiting to see your 'something special'", she said. Basically, everything the body needs. Let's begin. Every cut of meat was fantastic. 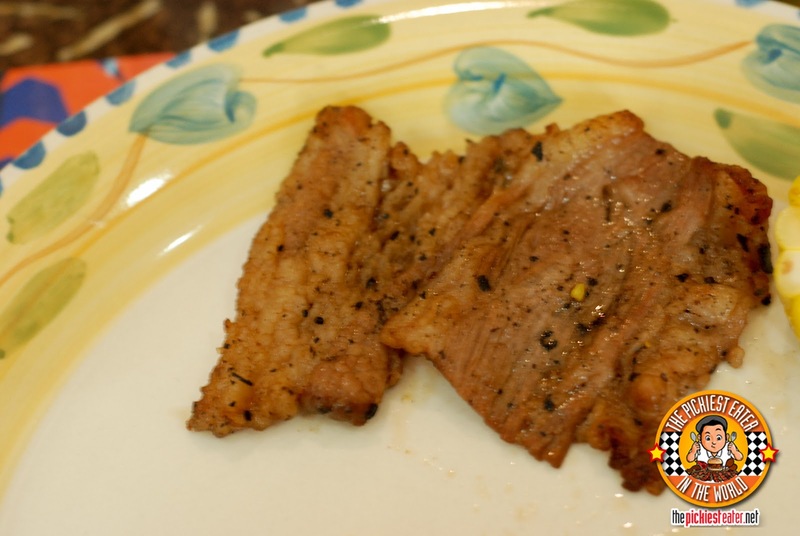 They all had the similar amazing smokey, savory taste of a premium grilled meat, with the textures and natural flavors being the only difference. What I liked the least had to be the "Hanging Beef Tenders". Don't get me wrong, It was still delicious, but the texture was a little strange, and It looked a bit rubbery. After that, I'd have have to say the "Pork Shoulder" wasn't as good as the other types. It's actually a weird cut.. It looked like a slab of chunky pork with a small piece of fat dangling from it. Again, not aesthetically pleasing, but flavor-wise, it was incredible. The Chicken thigh was a juicy piece of boneless fillet that was grilled to perfection. Truth be told, Rina didn't finish hers so I ate her leftovers the next day at home, and the taste of the smokiness was still prominent, and fantastic. The Pork Belly, although a bit on the leaner side than I would have preferred, was also mind blowing. I enjoyed how the lining of fat on top just seemed to meld with everything else.. Like you wouldn't even notice if there was skin on or not. I took one bite out of the Schublig sausage and said "Uh-Oh". I realized I had made a tragic mistake in promise Rina 75% of the entire sausage, instead of the usual 50-50. As I bit down into it, the skin let out a wonderful pop, and the cheese inside just spilled down into my mouth. This was easily among the best Schublig's I've ever had (and it's strange I found it in a Brazilian restaurant). Rina saw my face, and since she was getting full already, she generously let me have a fair share (in fact, I ate the rest of hers as well hehe). My personal favorite had to be the Beef Brisket. I imagine that had I been eating a buffet instead of a platter, I would have asked the person in charge of bringing this to my table to pull up a chair because I don't think she'd be going anywhere for a awhile. Not surprisingly, it's thinly sliced, not unlike bacon. But you could see the herbs and spices that was used to marinade it, as well as the nice char markings all around it. The lining of fat around it was grilled to a lightly crisp demanding me to give it its own spot on my blog. In a testament to the importance of compromise in a relationship, Rina ate the corn and I ate all the bananas, which was a nice way to end the meal.. Cleansing my palate with the sweetness of a grilled fruit. I hate to admit it, but the waiter was absolutely right. It would have been ridiculous if I still went for the buffet. Afterwards, I felt so energized, like I could join the next fun run or triathlon! Ok who am I kidding? All I wanted to do was go to sleep, and dream happy dreams (Still probably of food). The Metrodeal deal may not have given me the full buffet I was looking for, but I didn't leave disappointed at all. In fact, by the time we left, we couldn't tell which one of us was pregnant! I plan to go back to Brazil again, because I didn't get a chance to eat their Chicken sausage, which I loved the last time I went there. We shall meet again, Brazil! 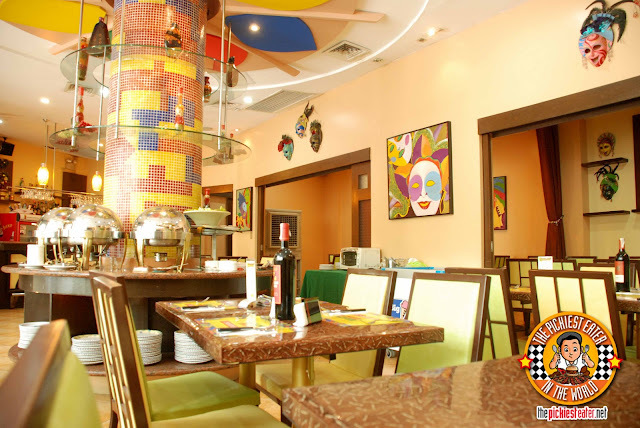 Brazil: Brazilian Churrasco has three branches that I know of.. Metrowalk, Rockwell and Serendra.. I went to the Serendra branch. Sure thing guys! Thanks for sharing!! 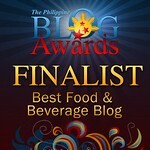 I'm so glad I stumbled upon your food blog! I wasn't sure if sulit ba yung Brazil Brazil deal that's ongoing now on Metrodeal. 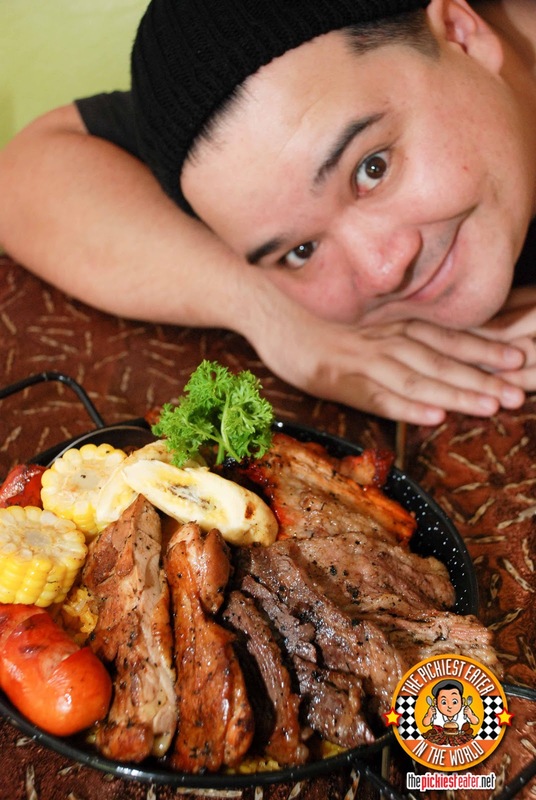 Churrasco platter din kasi and my bf and I are both big carnivores kaya medyo nagaalangan kami. But after reading your post, go na go na kami! :) Thanks! You are most welcome, Sumi! Great blog you've got there! Do you mind if I added you to my links? 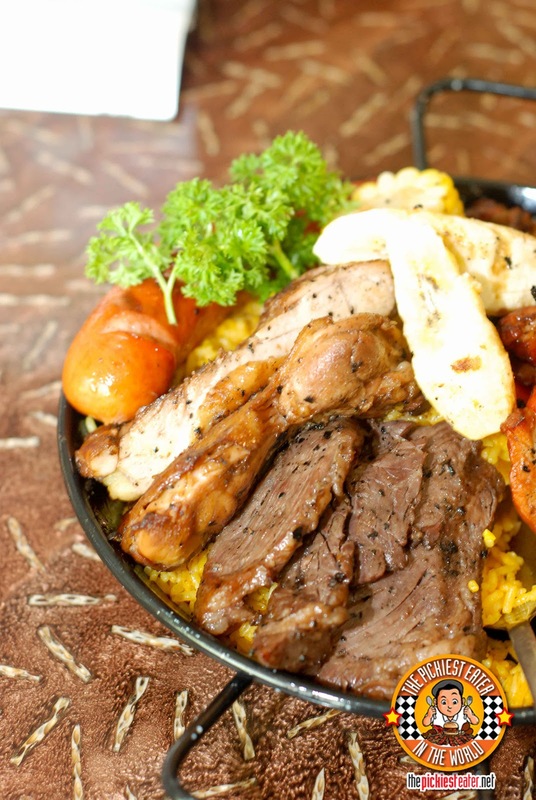 We've finally tried Brazil Brazil's Churrasco Feast Platter! :D And I'd like to thank you, 'cause you were the one (or your post rather) who convinced us to grab the deal.. :D Again, thank you! youll never get any help from metrodeal if you encounter problem with your purchased deal. they reply on your email after the expiration of your purchased deal. I bought a deal and the establishment has closed and I haven't heard any from metrodeal. It took me awhile, admittedly longer than it should have, but they finally replied and fixed my situation immediately! hope you sort your situation out, Anonymous! THE LIST OF RAKENROL CINEMAS! RAKENROL SHOWING ON SEPTEMBER 21!